Not one, not two, but three West athletes will realize their dreams of playing Division I baseball. West juniors Anthony Schlass, Nathan Burns, and Jack Thelen have all verbally committed to play baseball for Division I college teams. Schlass committed in the summer following his freshman year to play second base for the University of Oklahoma, Burns agreed in the fall of his sophomore year to be a right-handed pitcher for Oregon State University, and Thelen committed last month to catch for the University of Wisconsin-Milwaukee. All three intend to formally sign in November, according to Schlass. It is extremely unlikely for one high school baseball player to qualify to play for a Division I team, let alone three from the same team. According to Scholarship Stats.com, less than 2.1% of high school varsity baseball players will be skilled enough for the opportunity to play for Division I college teams. “We’ve always had the dream from when we were younger to play Division I baseball and all three of us are now so it’s pretty much a dream come true,” Burns said. “It’s really special, I’m really happy for all three of us,” Schlass said. 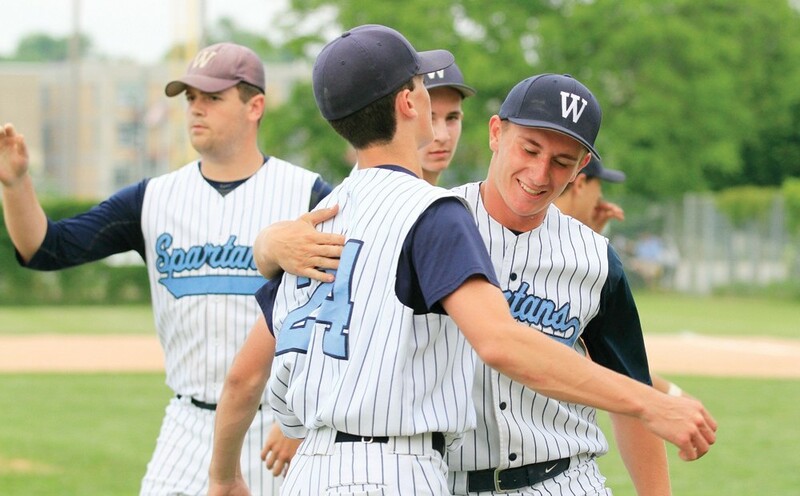 These players have played together on the same baseball team and have been close friends for nearly a decade. “They’ve been my best friends since I was nine really, that’s when we all started playing together on one team, and from when we were nine until now, we’ve kept playing together,” Thelen said. Brad Burns, Nathan’s father, was the first coach these players had when they became part of the same State League team, the West Bend Warriors. Brad Burns coached this team starting when they were just nine years old all the way up until they began high school, setting the foundation for their promising future. “He [Brad] was really the centerpiece in this whole thing with all the knowledge that I’ve gotten from him. He developed a lot of my talent and has always been a big part of it,” Nathan said. As ninth graders, Schlass, Burns, and Thelen were all immediately called up to play on varsity for West High because of the talent they had already developed. They have trained hard and continued to improve, and with the help of varsity coach Bill Albrecht they have earned interest from multiple universities. “We could see early on that these three guys were special players with lots of talent to play baseball. What has been rewarding to see is all of the hard work these three put into improving themselves in the off-season,” Albrecht said. 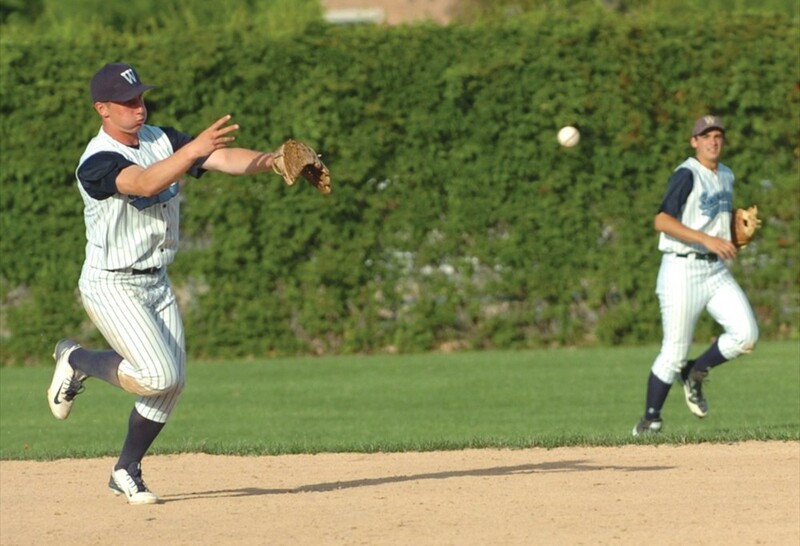 In the 2015 season, Schlass had a batting average of .424 with four home runs, and Thelen had a batting average of .406 with one home run. Burns pitched with a 2.47 ERA with 48 strikeouts. All three of these players will soon be playing for colleges that are spread halfway across the country from one another, splitting up the trio that has been together so long. Even though they have already been offered prestigious opportunities, these players and their coach each believe that they still have much to improve on before they begin their college baseball careers. 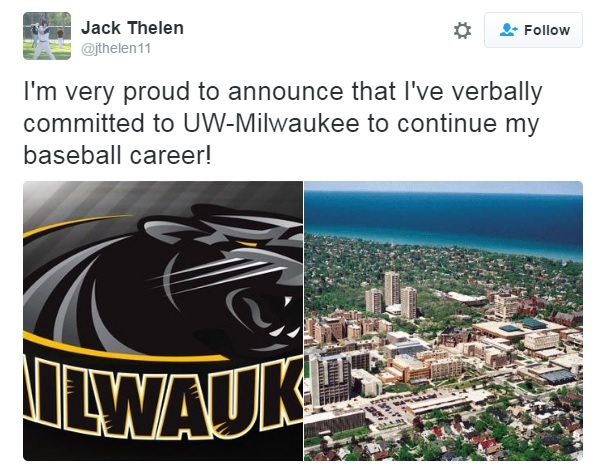 “Getting the recognition for my hard work feels good, but I’m not done there, I need to work twice as hard to be on the field as a college player,” Thelen said. “They all have to continue to improve so when they get to college, they are prepared to compete with some of the best players in the entire country,” Albrecht said. Albrecht is very proud of their performances in high school, on and off the field, and he is excited for the rest of their high school careers and beyond. “Besides being excellent baseball players, these three guys are quality people who represent our program in the correct manner. That is what I am most proud of. Last year they led our team to a 27-3 record and a conference championship, but we failed to make it to state, so we have some unfinished business to accomplish,” Albrecht said. Very good players, but misinformation in this article and something people need to understand. They have not received scholarships for baseball… yet. They have verbally committed which is very very very different from signing and getting a scholarship. First of all, they cannot sign for scholarships until the year before their last year of high school.